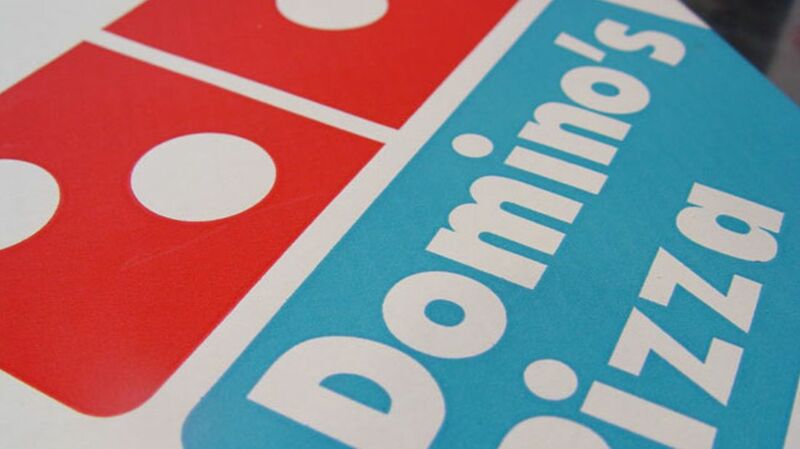 In the past 50 years, Domino’s has grown to become the second largest pizza chain in the country. 1. THE FOUNDER WAS A COLLEGE DROPOUT. Tom Monaghan’s father died when he was just 4 years old. Unable to care for her kids on her own, his mother sent Tom and his brother to a Catholic orphanage for six years. After that, they bounced around to various foster homes. After barely graduating high school—he was last in his class—and a stint in the Marine Corps, Tom tried to go to college in Michigan. He briefly studied as an architect at the University of Michigan but, unable to pay tuition, he took his brother Jim up on an offer to go in on a small pizzeria that was for sale. They bought DomiNick's in 1960 with a $900 loan. 2. TOM MONAGHAN TRADED HIS CAR TO BECOME THE SOLE OWNER. The original plan between the two Monaghan brothers was to trade off shifts so Tom could continue his studies and Jim could keep up his job as a mailman. But within eight months of buying the pizzeria, Jim decided to focus solely on his job with the post office. Tom traded him the Volkswagen they used for deliveries for sole ownership of the business. It took about a year for Monaghan, who had no pizza-making experience, to get the hang of peddling pies. But he soon bought two more pizzerias in the same county, intending to create a mini-chain of restaurants all with the same name. The real Dominick of the original DomiNick's wouldn’t let Monaghan use his name for an expanded chain, so one of the delivery guys suggested they tweak it slightly to Domino’s. 4. IF THEY’D GONE WITH THE ORIGINAL PLAN, THE LOGO WOULD BE MASSIVE NOW. The new name lent itself to a domino logo. Monaghan put three dots on the domino to represent the three restaurants he owned at the time, intending to add a dot for each new location. “You can see I wasn't thinking of a national chain back then,” he said in 2003. 5. WHEN MONAGHAN OWNED THE DETROIT TIGERS, THEY CELEBRATED WITH DOMINO’S PIZZA. Domino’s the franchise was a huge success, making Monaghan a very rich man. After having grown up effectively an orphan, he initially spent the money in flashy ways—acquiring 224 luxury cars, amassing the world’s largest Frank Lloyd Wright collection, and even buying the Detroit Tigers in 1983. The following the year, the Tigers won the World Series and when rowdy celebrations in the streets stranded some of the fans and sportswriters inside the stadium, Monaghan flew in several hundred pizzas from Domino’s on his Sikorsky S-76. In 1998, Monaghan sold the company to Bain Capital for around $1 billion. As part of their expansion beyond pizza, Domino’s started offering oven baked sandwiches in 2008. The chain recognized that in doing so, they were targeting a certain chain’s market. And rather than deny competition with Subway, Domino’s really went for it: They offered free sandwiches to the first 1000 “Jareds” to who came in, a direct hit at the popular Subway spokesperson. Any spelling qualified, so Jarods and Jerrods were also in luck. 7. IN 2009, DOMINO’S ACCIDENTALLY GAVE AWAY NEARLY 11,000 FREE PIZZAS. Somehow, in March 2009, a clever customer stumbled onto a promotional code that had been created months before, but never green-lighted or publicized. News of the glitch went viral around southern Ohio and northern Kentucky. By the time the company disabled the code, almost 11,000 free pizzas had been redeemed. 8. DOMINO’S ADMITTED THEIR PIZZA WAS BAD—AND THEN MADE IT BETTER. 9. DOMINO’S IS BIG BUSINESS. As of 2013, Domino’s is the second-largest pizza chain worldwide, after only Pizza Hut, with 11,629 restaurants in total. Brits especially love Domino’s. It’s the number one pizza chain there and in 2015, there were an estimated 75 million pizzas sold in the UK. 10. THE ONLY VEGAN DOMINO’S IS IN ISRAEL. Cheese is fairly integral to the pizza experience. But in Israel, where veganism is especially popular, activist groups were persuasive enough to convince Domino’s to begin offering a family-size pizza with vegetables and a soy-based cheese for about $20 starting in 2013. It was an exciting development for the 50 or so Israel outposts of Domino’s, but expansion beyond that seems unlikely. "We'll be paying attention to [the vegan pizza in Israel], but it's not something we're working on here in the U.S.," Domino's spokesman Tim McIntyre said at the time. 11. DOMINO’S ROLLED OUT THE FIRST CAR DESIGNED BY A PIZZA COMPANY. Domino’s estimates that their 100,000 deliverymen drive a combined 10 million miles a week and deliver 400 million pizzas a year. So it only makes sense that the company has recently developed a car especially designed for delivery. Domino’s DXP, a riff on a subcompact Chevrolet Spark, can carry up to 80 pizzas and includes a 140 degree oven to keep the pies toasty. Domino’s will spread a fleet of 95 DXPs around 25 markets throughout the country. Franchisees can purchase the particular vehicles for $25,000.